GRAVITY ROCKS pushes the boundaries to help you push your own, whilst having a LOT of fun. 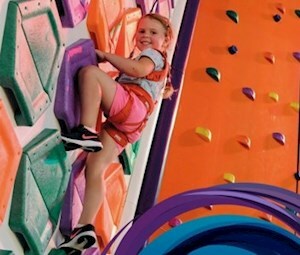 Each climbing wall is individually themed and aimed at different levels of fitness and ability. To help achieve your goals safely, our super-trained staff are standing by at all times. It’s visually jaw-dropping and seriously playfully. It’s challenging – and then some. ! IT ROCKS !